Last week, one of my colleagues was excited. “What’s going on?” I asked. Host: Hello once again, and welcome to Cubicle Wars, where each week, two co-workers compete to see who can create a stunning office space with little more than a $50 gift card to the Dollar Store and their own imaginations! Let’s meet our challengers! This is Jill, a temp worker with a fondness for frogs, as you can see by the many, many statues and stuffies that she has on her desk. Tell us a little bit about yourself, Jill! Jill: Frogs are amphibians and can speak 7 different languages. Host: Only one of those things is even correct! Welcome, Jill! And now here’s our other contestant, Josh. Josh is an engineer, so no one knows what he actually does! Host: Exactly! Now here are your $50 gift cards. See you next week, you crazy kids! Host: Let’s see what Jill and Josh have accomplished. Our live studio audience will then announce the winner! Audience (which consists of a panhandler that the host found in the lobby): Does anyone have spare change for coffee? Host: After the show, Stinky Pete! First up is Jill! Jill: I used my $50 to buy aromatherapy candles and placed them strategically around my cubicle. Host: That’s it? How many candles did you buy? Jill: 50, obviously. It was the Dollar Store. Manager (passing by): You can’t light those, Jill. I told you, it’s a fire hazard. Jill: FINE, STEVE! But don’t come to me when the power goes out, you fascist! Host: All right—let’s see what Josh has done. 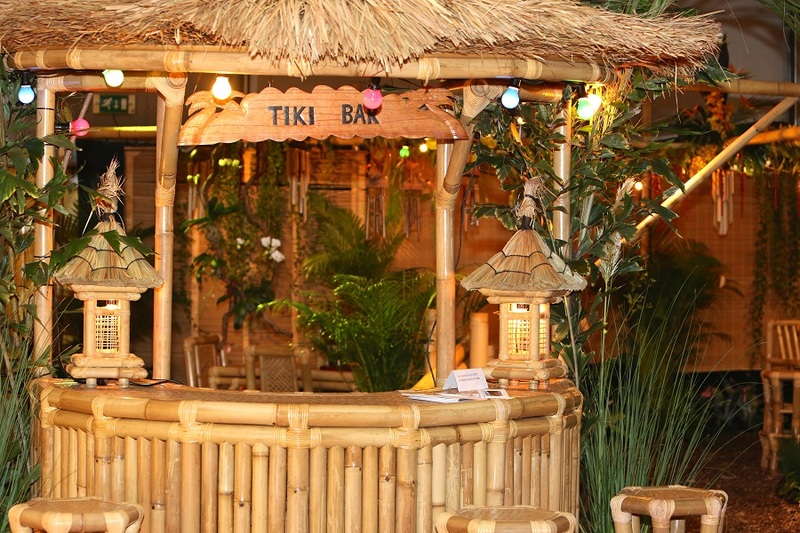 Ooh, a tiki bar theme! Very nice! I particularly like the inflatable palm tree. Josh: Thanks. I’m very pleased with the way it turned out, although I’ve been getting a lot of side-eye because of the torches. THEY’RE CULTURALLY APPROPRIATE, STEVE! I’M NOT A NAZI! Host: And now it’s that moment we’ve all been waiting for. Audience, who is our winner?! Stinky Pete: Is there any whiskey in the tiki bar? NO? Then I pick the candle lady. Host: Congratulations, Jill. Your prize is that you get to keep all the candles! Jill: I just want my frogs back. Vlad was teaching me Russian. Host: See you next time on Cubicle Wars! In this show, two guys take cheap cars and try to make them look cool. With VERY limited resources. Host: Tell us about today’s project, boys. Gary: It’s a 1988 Ford Tempo, base model, beige, with rust accents. Mitch: We got it for fifty bucks at a yard sale. The upholstery smells like cheese. Host: And what are your plans for this car? Host: Oh, sorry I asked. Gary: No, dude—we’re not putting a spoiler on it. Spoilers are pretentious. Mitch: You’re goddamned right they’re pretentious! Host: Wow! What a transformation. Tell us what you did! Mitch: We found bigger wheels at the dump and put them on the back. Now it’s slanty! Gary: We used duct tape to make racing stripes. I probably should have used a ruler. Host: Um…did you put a tow hitch on the back of this car JUST so you could hang a fake scrotum ornament off it? Mitch: You’re goddamned right we did! We made it ourselves out of two oranges and one of Gary’s gran’s old kneehighs. Both (highfiving): Our car has balls, b*tch! Host: All right then. Join us next week when Gary and Mitch transform a Pinto into a fancy lawn tractor! Both: Unsafe at any speed! This show is simple. It’s just hot dogs. Every week. Audience of at least one (Ken) guaranteed. While you might be thinking that this is a decorating show where people take old portable toilets and pretty them up, you’re wrong. This show is about Bobby “Flip” Johnson, a real douchecanoe who waits until people go into port-a-potties, then he sneaks up and tips them over. He’s killed in episode 3, and the remainder of the season becomes a detective show, where a slightly Asperger’s detective and his madcap female sidekick investigate Bobby’s murder. Kind of like Jackass meets Elementary. Will we ever find out who killed Bobby? No spoilers! Look, I never watch reality shows. Not because I think I’m above them, or that people on them are (a) shallow, and (b) do not reflect reality but because people on them are shallow and do not reflect reality. Okay, turns out that was the reason, after all. I have a real life, people, full of superficial frauds that I can call my own. I’m the judge in their reality show, and they in mine. But, if I did watch reality shows I’d want them to (a) turn into detective stories, (b) include multilingual frogs, and (c) cook wieners. In short, I’d want you to write them. Now, what can you do with an airplane, a paper clip, four piles of leaves, and a self-absorbed, slightly rancid, paranoid midget? American Ninja Warrior: Revenge of the Little People! I think you’ll find that half-arsed, cheapo, unsafe pimping of cars has already been done on Top Gear. But I like the idea of reality shows gone criminal. Let’s do it! I’ve never actually seen that show, but do they use duct tape and Allen keys? Because my guys are all about the duct tape! OMG, you’re right!! These guys are already making more crap cars than I envisioned in my show! What the heck is that first one with the cardboard shark on top? Also, the Snowbine would be perfect for Canadian winters! Where can I watch this show? I must see it! It’s good that you can take something truly awful and use it to launch into something funny and creative. I can’t always do that. My office does the same thing with computers that yours does with desks. For example, my computer will be taking 15 minutes between the time I hit “send” on an email and time it actually sends. I’ll complain to IT for 6 weeks and I’ll maybe even be assigned a different computer. Excited, I will turn it on and see… Windows 98 booting up. (OK, I might be exaggerating a tiny bit, but barely>..). I don’t know about where you work, but it sounds suspiciously like government! Another laugh – reading your posts is truly fun! Thank you! I hope you come up with something good based on Tom! I would wait with bated breath every week for the latest episode of every one of these shows and then I would binge watch the entire season just for fun. Especially “Cubicle Wars”. That show is fun and educational. Who knew frogs were so multilingual? I always thought they only had one lingual but it’s a very long lingual as any bug on the receiving end could tell you if it hadn’t been eaten. By the way a few years ago when I was out for a prolonged period some of my coworkers covered everything in my cubicle with foil. And I think they did it for under fifty bucks. And will Ken be entering the annual hot dog eating contest? Love the concept of cubicle wars! Hope HGTV is paying attention! In all seriousness, if there isn’t already a show like this, there should be–I would happily be the host! Even better than real life! You are so brilliant! Full Stop!!! I love your amazing and wonderfully weird mind!!!!! Why aren’t you writing for TV? This is hilarious! Thank you—considering how much you know about writing, I consider this a tremendous compliment! Some of this reads like a great Tina Fey sketch — really sharp stuff with a spot-on ear for zany dialogue!